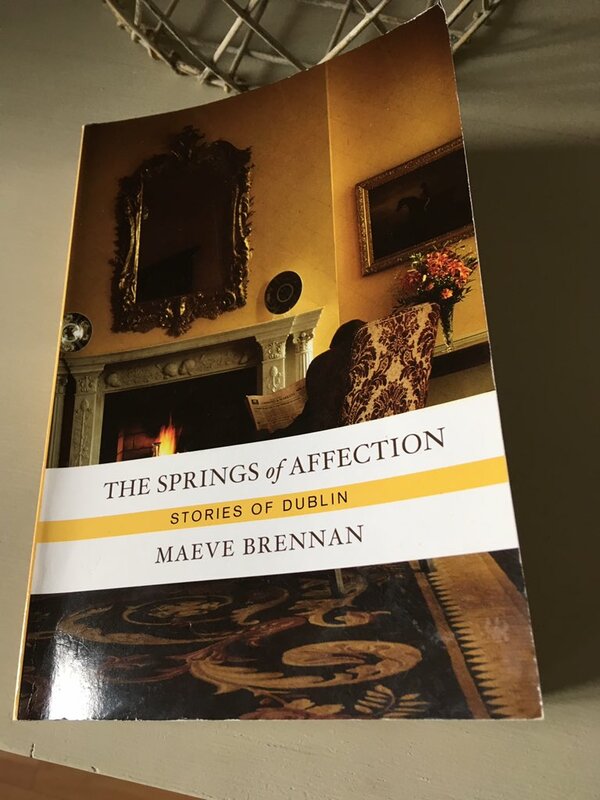 I am very much a latecomer to the Irish short-story writer and journalist, Maeve Brennan, only having read The Springs of Affection, a brilliant collection of her Dublin stories from the early 1950s to the early ‘70s. Virtually all of these twenty-one stories were first published by The New Yorker magazine where Brennan worked as a columnist and reviewer. While I enjoy reading short stories, I often find them difficult to discuss, particularly if there are no apparent connections or common themes across the individual pieces. However, in this case, the situation is somewhat different as almost all of these stories are linked by virtue of their setting, a modest terraced house in the Ranelagh suburb of Dublin – a house featuring the same walled garden with a laburnum tree, the same three steps down to the kitchen, and the same linoleum on the bedroom floor. Moreover, the stories have been collated by theme rather than order of publication, an approach which adds depth to the reader’s understanding of the characters as they move from one story to another. Other pieces in this section paint a picture of a normal family life, complete with the usual tensions between siblings and others. In The Old Man of the Sea, Maeve’s mother feels sorry for an old man who comes to the door with an enormous basket of apples, so she buys two dozen, just to be charitable. But then the man returns the same time the following week with another two dozen apples for Mrs Brennan, all bagged up and ready to be handed over in exchange for payment. As the weeks go by, it becomes increasingly difficult for Mrs B. to refuse the apples until things come to a head in the most embarrassing of manners. 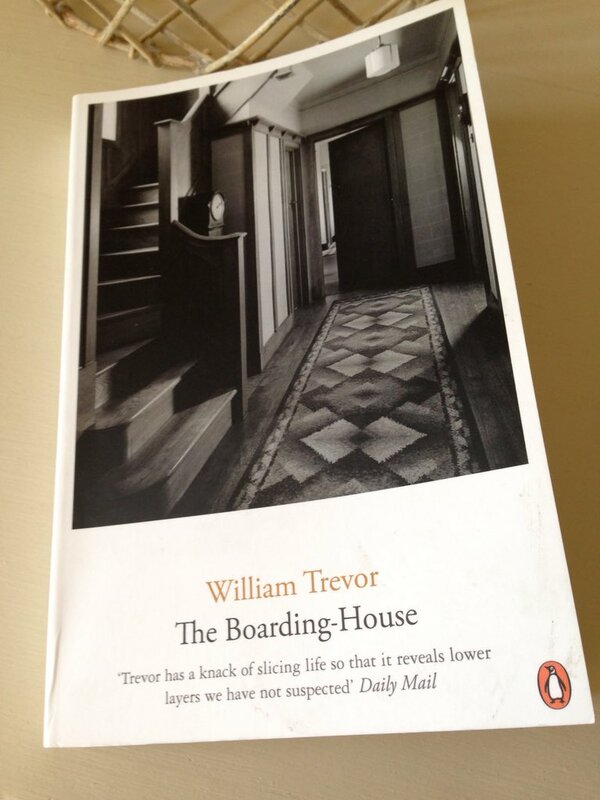 This is a lovely story laced with warmth and humour. The second series of stories feature Rose and Hubert Derdon, a middle-aged couple whose marriage is characterised by an intense emotional distance, a situation which appears to have developed over several years. The opening piece – A Young Girl Can Spoil Her Chances – captures the state of this couple’s relationship in a nutshell as they try to score points off one other in the pettiest of ways. Some of the Derdon stories look back to happier times, the couple’s courtship and the early years of their marriage when they were young and relatively carefree, enjoying walks together in St Stephens Green park. Sadly, this sense of freedom and gaiety was relatively short-lived, and the cracks in their marriage soon started to appear. In time, we learn that the Derdons have one grown-up son, John, who – much to Rose’s dismay – has left home to join the priesthood. She feels his absence very deeply. In her heart of hearts, Rose realises that she has lost her beloved John forever, but this doesn’t stop her from fantasising about his return every now and again, convincing herself that she will see him walking down their road at any minute. Shut out of the marriage by Rose’s devotion to John, Hubert broods on what he considers to be his wife’s failings: her shyness and lack of confidence in social situations; her indecisiveness and ambivalence in various domestic matters; and her secrecy and concealment of certain things for no apparent reason. When viewed together, these stories form a devastating picture of two desperately unhappy individuals locked in a kind of stasis, unable or incapable of reaching out to one another and accepting their respective flaws. While nothing ever comes to a confrontational head, there is a real sense of bitterness and resentment between husband and wife, the simmering tensions proving particularly destructive as they are rarely aired or spoken about directly. The final set of stories feature another couple with difficulties in their marriage, Martin and Delia Bagot. The Bagots are younger than the Derdons, and they have two daughters – Lily aged nine, and Margaret, aged seven. As with the Derdons, there are hints that the Bagots were happy in the early days of their marriage, enjoying jokes together just like any other couple. But now Martin sleeps on his own in the back bedroom, an arrangement initially prompted by his unsociable working hours but now maintained through his own preference. What emerges is a picture of a man who longs to get away from his immediate family whom he considers to be a burden. As the Bagot stories progress, we learn that there was another child in the family before the arrival of the two girls – a boy who died when he was just three days old. Naturally, Delia was distraught at the time, leaving Martin unable to reach out to her or comfort her in any way. This is the source of the fault line in their marriage, an unspoken rift that has been allowed to fester over the years. While this all might sound very bleak, there is a little more hope for the Bagots than the Deardons. Their relationship lacks the intense bitterness and anger of the Deardons’ marriage, and it is punctuated by occasional moments of brightness too. A visit from an elderly Bishop and old family friend puts Delia back in touch with herself in a manner that boosts her sense of peace and harmony, although we never see if this enables her to reconnect with Martin in any meaningful way. There are glimpses of jet-black humour too, especially towards the end of the collection. The final story, The Springs of Affection, is probably worth the cover price alone, focusing as it does on Martin’s spiteful twin sister, Min, who kept house for him in Dublin following Delia’s sudden death (we are now several years down the line). From the opening passages, it is clear that Min resented Delia from the outset, for stealing Martin away from her and the rest of the Bagot family. Now that Martin is also dead, the elderly Min has returned to her flat in Wexford where she can wallow in a satisfaction fuelled by jealousy and bitterness, surrounded as she is by the couple’s furniture and former possessions. What sets this collection apart from many others I’ve read recently is the strong sense of disconnection/emotional turbulence conveyed through the stories, the layers of insight and meaning which gradually reveal themselves with each additional piece. Brennan’s prose is simple and straightforward yet beautifully precise – her descriptions of various aspects of the terraced house in Ranelagh are both clean and graceful. 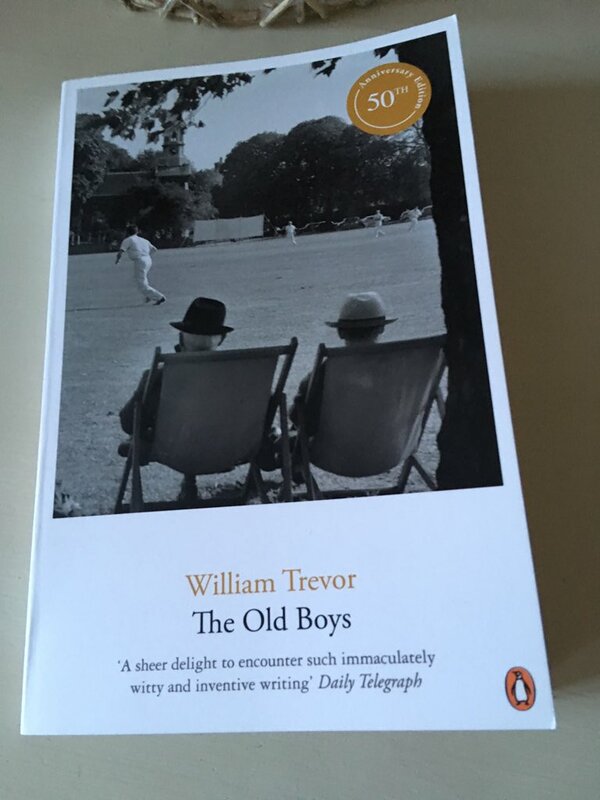 This is a terrific collection of stories with much to recommend it, particularly for lovers of perceptive character-driven fiction in an understated style. My copy of The Springs of Affection was published by Counterpoint. 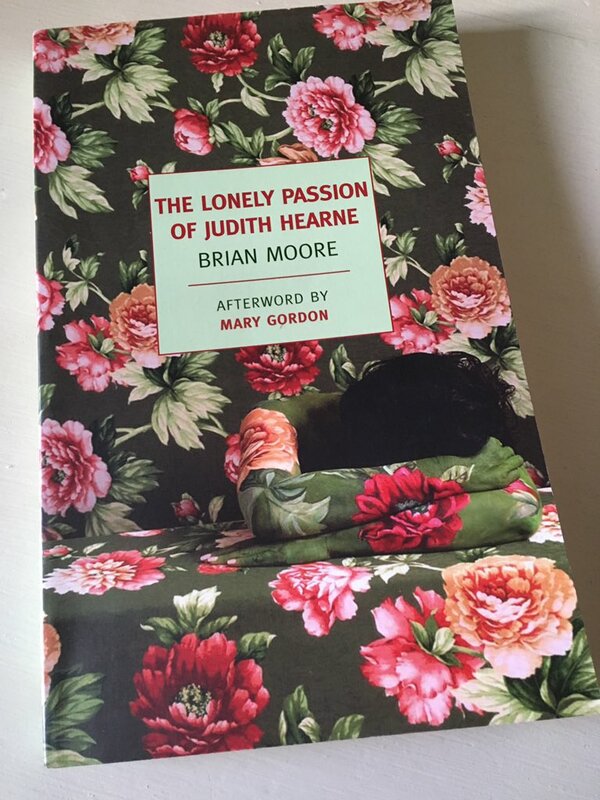 This entry was posted in Book Reviews, Brennan Maeve and tagged #ReadingIreland, #ReadWomen, Book Review, Classics Club, Counterpoint, Fiction, Ireland, Maeve Brennan, Short Stories on December 11, 2018 by JacquiWine.